Double H has been an innovator of consumer packaging since 1985. 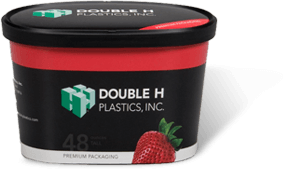 Double H supplies consumer packaged goods companies with state of the art packaging solutions, and pioneered the development of composite lids and cups for a variety of food packaging applications. Since 1974, we have also manufactured extruded products for the paper, film and foil converting industry and for other markets such as medical, agricultural and environmental.